Sacramento Comedy Foundation is a 501(c)3 non-profit corporation (47-3441374). In addition to supporting the local comedy community, we partner with other local nonprofit organizations to create comedy event fundraisers that help make Sacramento a better place to live. Our mission is to make Sacramento laugh. Every day. We operate a youth program that provides improv training for kids, giving them an opportunity to develop confidence and be creative in a safe and supportive environment. We create comedy-related events, like the Stand-Up Competition and Comedy Festival, that draw comedians and comedy fans to Sacramento. We also operate Sacramento Comedy Spot, an adult comedy show venue and home to Northern California’s largest comedy school for adults. We believe that a more diverse community is a stronger community. Sacramento Comedy Foundation is committed to diversity, equality, and inclusion, at all levels of our organization, at our events, on our stage, and throughout Sacramento. The ninth annual Sacramento Comedy Festival will be held Thursday, October 3 – Sunday, October 6, 2019 at Sacramento Comedy Spot. This event features improv groups, stand-up comedians, and sketch comedy groups from Sacramento and around the country. It’s also an opportunity for comedians to network with each other and perform in one of the best comedy cities in the United States. 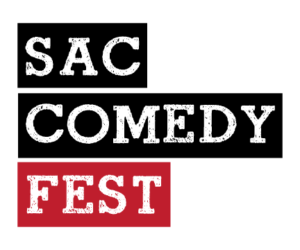 The Sacramento Comedy Festival was created in 2011 by Brian Crall, comedian and President of the Sacramento Comedy Foundation which operates the Sacramento Comedy Spot. The Sacramento Comedy Spot features improv, sketch, stand-up, and podcasts shows, and has the largest comedy school in Northern California. 2011 — The Sacramento Comedy Festival began as a four-day event, featuring comedians from mostly Sacramento, San Francisco, and Los Angeles. 2012 — The Sacramento Comedy Festival expanded to seven days and featured comedians from all over the West Coast, including Portland and Denver. 2013 — The Sacramento Comedy Festival expanded to nine days, adding the Stand-Up Comedy Competition to the festival, with a $1,000 first-place prize. Comedians participated from all over the country, from San Francisco to New York. 2014 — The Sacramento Comedy Festival expanded the Stand-up Competition to include a wildcard round, featured the famed Cambridge Footlights from England, and broke attendance levels. 2015 — Steven Bloom was appointed Executive Director of the Sacramento Comedy Festival. Steven’s expanded the festival by including all Sacramento full-time, and many part-time, comedy venues. 2016 — In 2016, the Stand-Up Comedy Competition separated from the Sacramento Comedy Festival to become its own event. The Sacramento Comedy Festival was a jam-packed, three-day event, featuring our favorite improv, stand-ups, and sketch comedy groups, held exclusively at the Sacramento Comedy Spot. The festival is a showcase of national and local talent. 2017 – OUR BIGGEST FESTIVAL YET! Great shows. Great Audiences. Time to expand in 2018. 2018 – We will be working on scheduling this year to make room for more performers in more accessible time slots.